Brian Morgan’s life revolves around one passion – to leave the world a little better than he found it. He sticks to this guiding principle whether it be in the home, his work, the community, the country or the world. He believes we should earn the right to be here, wherever we are, and he earns his place through his writing. He has been called an integrity advocate, a thought leader, a teacher and a justice fighter – among other things. He has fought for mental health, freedom of speech, disability support, children, integrity and responsibility in business, Aboriginal equality (an ongoing struggle), justice and fairness everywhere. He has raised much-needed funds for charities like the Red Cross, the National Heart Foundation and the Salvation Army, and has outstanding achievements as a volunteer in several organisations. His “skill with the quill” is his weapon of choice, and he’s not afraid to use it to help others. After many years as a business leader and as a journalist, editor and publisher, Brian has nine books in print, plus eBooks, and has published books for others. His journalism skills have achieved a great deal in many areas – local, national and international. Awards and testimonies attest to a lifetime of service to those in need and to those without a voice. Awards have covered journalism, editing, publishing, and community, national and international service. He has been mentoring journalists, writers and others for many years. In 2014, he founded PiPS (Professional Independent Publishing Standards) and ran the organisation until 2018. PiPS aimed to lift independent publishing standards. Brian strived to make good independent writing more visible for readers. He lives with his wife, Judy, and a grandson, Thomas, on the Central Coast of New South Wales, Australia, after living most of their lifetime in Sydney. Brian has served as a teacher at TAFE colleges, teaching writing and related subjects. He has also been a small business seminar leader, conducted workshops for entrepreneurs and others, and lectured to groups like the Fellowship of Australian Writers. He wrote a paper for the Australian Press Council Prize based on his experiences in journalism. He was the founder of a number of businesses and institutions set up for charitable, educational and business purposes. He has had successful careers in business, journalism and as an author and publisher. In business, he chalked up a number of major achievements in national and multi-national companies. However, writing was his first love and he gave up that successful career in business to learn the writing craft through journalism. His rise was rapid. 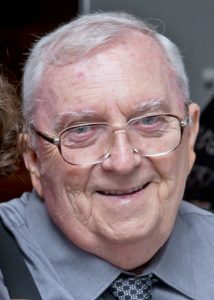 He worked as journalist, sub-editor, editor, editor-in-chief, managing editor and manager on a range of mastheads in the Fairfax and Courier newspaper groups, winning numerous state and national awards in the process. He also worked as owner and publisher on one regional and five national magazines and has served as contributing editor on an Australian literary journal. His writing has been highly acclaimed and translated for Vietnamese, Chinese and Japanese audiences. A literary agent in Chicago, Jane Jordan Browne, managed to present only one of Brian’s projects, The Legend of the Christmas Prayer, to publishers before her sad and untimely death. The Legend became a sellout best-seller in America and Great Britain and was translated into Japanese, where it was also successful. Now there are nine books in print and more eBooks, and he has published books for others. All of Brian’s books have been handled by The Writers Trust and have been independently published.